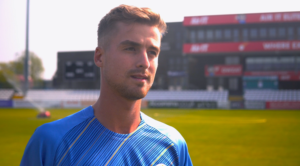 Derbyshire’s Wayne Madsen has arrived in Dubai for the Pakistan Super League and is set to make his first appearance in Twenty20 cricket outside of England. We take a look at his career in numbers. The 35-year-old was snapped up by Peshawar Zalmi for the fourth instalment of the short-format tournament, which takes place from 14 February to 17 March. 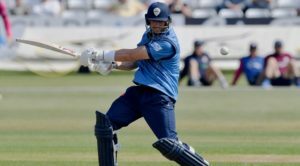 Madsen has been a consistent performer for Derbyshire in Twenty20 cricket and is the Club’s all-time leading run-scorer in the format. 99 – Madsen has played 99 matches in his twenty-over career to date, all for Derbyshire. He is expected to reach his century of games this month in the PSL group stage. 86* – He posted his highest score in the format in 2017, when he hit an unbeaten 86 off 44 balls against Nottinghamshire. 31 – A sharp fielder, Madsen has proved he can contribute in every department throughout his career, including his athletic fielding ability which has seen him take 31 catches in 99 matches. 2017 – 2017 was a successful year in the twenty-over game for the 35 year-old. A phenomenal year with bat and ball saw him guide Derbyshire to their first-ever home Twenty20 quarter-final, whilst he also topped the PCA MVP rankings. 268 – Although not the most explosive of batsmen, Madsen has still racked up plenty of boundaries in his T20 career. He has hit 225 fours, whilst he has also cleared the rope 43 times. 15 – Often the mainstay of an innings, Madsen has recorded 15 half-centuries in 96 innings for Derbyshire. 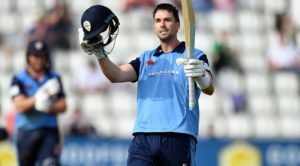 526 – He notched over 500 runs for Derbyshire in the 2017 Vitality Blast campaign, the most ever for the Club, at an average of 48 and including a joint-record four half-centuries. 17 – In recent years he has developed into an all-rounder and has claimed 17 wickets in his twenty-over career, including 13 in 2017 with best figures of 2-20. 11.06.10 – Madsen made his Twenty20 debut against Nottinghamshire at Trent Bridge in 2010, and he finished unbeaten on five in a five-wicket defeat.